Have you ever seen a pink flamingo? Aren't they unusual looking birds? You just don't see many bright pink, tall birds with long necks. Did you know that flamingos aren't pink all their lives? When they are hatched they are an entirely different colour. What colour do you think they are? When flamingos are very little, they are grey. By the time they are three years old, flamingos turn from grey to pink. Can you guess why? It's because of what they eat! The type of food that flamingos put into their bodies, causes them to change color. Isn't that a strange way to change? 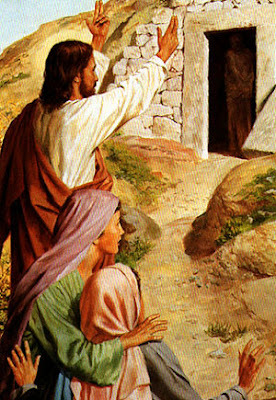 In todays Gospel, we learn about a really important change that takes place in Jesus' life. One day Jesus took a few of his disciples and went up on a mountain. 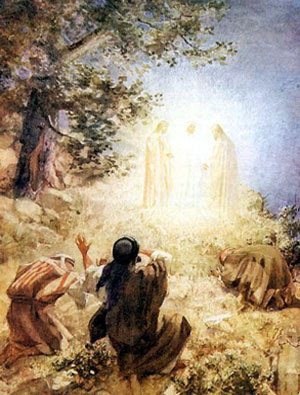 And as Jesus was praying on the mountain, the Spirit of God came down from heaven and touched him. Then a white, glowing light came from him. When the disciples saw Jesus changed in this way, they were scared and excited. Then God spoke from heaven - from inside a dark cloud - and the voice said to the disciples, "This is my Son. Listen to him." When the disciples saw Jesus all shining white, and heard God's voice, they knew that Jesus was the son of God. When they came down from the mountain with Jesus they never quite saw Jesus in the same way again. They knew that he was special and that God was with him - and that somehow God was in Him - making Him different than anybody else. Dear God by your power you changed Jesus so that he shone like the sun. Change us too we pray, make us more like him. Help us to listen to Him, just as you asked His first disciples. Help us to listen and to do what he tells us. Sam walked in the back door to the scent of freshly baked cookies. There on the counter was a platter filled with chocolate chip cookies. Mom was in the kitchen preparing dinner and noticed how Sam was looking at the cookies. She said “Now don’t you eat any cookies until dinner or you will spoil your appetite.” Those cookies looked so good and the temptation was so great. Mom had left the kitchen to check on the laundry. “Surely just one cookie won’t hurt and mother will never know if I had just one,” Sam thought. Have any of you ever had an experience like that? Here is another story which might sound familiar. "Put away your books and take out one sheet of paper and a pencil," the teacher said. "We are going to take our weekly spelling test." Johnny had an empty feeling in the pit of his stomach. He knew that they were going to have a spelling test today, but he watched TV last night instead of studying for the spelling test and he wasn't ready for the test. As the test began, Johnny looked around the room and realized that he had a clear view of Sally's paper. "It won't hurt if I look at Sally's paper just this once," Johnny thought to himself. "I promise -- I'll never do it again and nobody will ever know." All of us have faced temptations such as these, haven't we? Did you know that Jesus was tempted just as we are? Sometimes it is very difficult to do what is right and good. 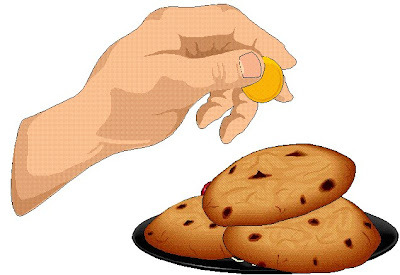 We may think that if we take just one cookie it wont hurt and besides who would know? If we cheat just this once, no one has to know. How do we deal with temptation? Well we should firstly try and avoid being tempted. In the situation with the cookies, perhaps leaving the room and doing something to take your mind off them. With the test, we should have studied. But more importantly always pray and ask Jesus to help you do what is good and right.